Attention: It’s a rare commodity in the digital arena. Old-school print and television advertisers have always wrestled with the problem of connecting with their audience in a profound way. Their solution? Introduce suggestive, mildly titillating content in ads. But there’s some new game in town, a kind of currency that is designed specifically for the digital sphere, evoking an even more instinctual and fundamental response than suggestive content ever could. These are emotional experiences and connections. For better or for worse, smartphones and social networks govern our interactions, and connect us remotely while keeping us physically apart. As a result, we’re left craving a genuine experience, or even left completely isolated. 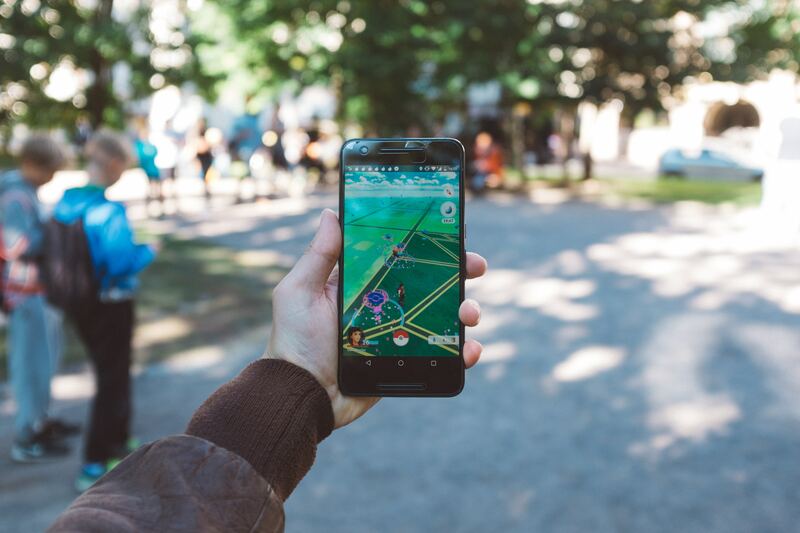 However, virtual reality and augmented reality could change this, creating a more satisfying and a more profound connection for potential customers, and re-introducing the element of experience. This new emotional-based currency is causing marketers to sit up and take notice. This is because emotions are at the heart of a customer’s decision-making process. It is certainly causing Lego’s head of emerging platforms, James Poulter, to start thinking ahead: “AR […] is one of the most immersive ways that we can get people experiencing the product without having to have it in their hands,” he says. In 2017, Michael Kors, the luxury fashion brand, used Facebook to launch a new experience for their customers. By harnessing AR, users could essentially try a pair of sunglasses virtually, without ever even leaving the house. So, the standard is set: Social networks are the platform, AR and VR technology are the tools, experiences are the creative focus, and emotion-driven purchases are the goal. So far, we’ve seen AR and VR being used, quite creatively, in projects like FuseLab’s safety simulations, through interactive product demos, and even in training employees to respond to real-world situations in a controlled environment. In fact, virtual reality and augmented reality have already proven their worth. It’s probably why the VR and AR market is set to rise to $29.5 billion by 2020. But what about the wider goal of marketers? Brands — and marketers, by extension — want to narrow the gap between a display of ads and the customer’s purchase decision. It’s not just about minimizing the buyer’s journey — it’s about making a definitive, emotional impact quickly and effectively. A brand only gets a short time to persuade a potential customer to convert, so they need to capitalize on this, in a subtle and yet persuasive manner. This is emotional experience 101. There are some naysayers who observe that virtual reality, as a medium, is not quite “ready” for the marketplace because not every consumer is carrying a VR-enabled device in their proverbial back-pocket. But recent developments show that there is a very definitive shift from using VR, AR and “MR” technologies as novelties, to using them as opportunities for selling at scale. But before understanding the opportunities they present, we need to understand the terms themselves, on a conceptual and a technical level. 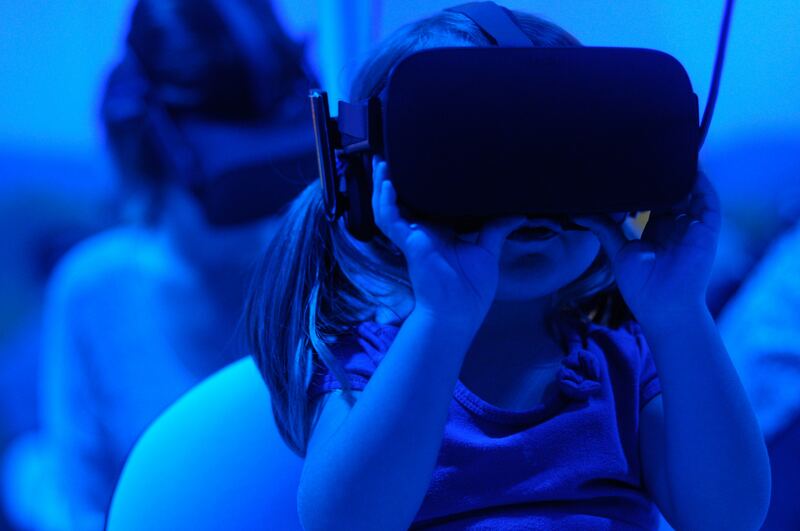 As it stands today, virtual reality relies on the use of a headset (HTC Vive, Samsung Gear VR, etc.) that covers the user’s eyes and places them within an environment. This “other-worldly” experience is entirely constructed. An example is FuseLab’s “Working on Height” project, which immerses the user in an interaction designed to train employees to learn how to work “safely” when working on construction sites at a height. Bu using VR, our senses are engaged on all levels, and the experience is a more beneficial and enriching one. If you’ve ever been chasing a “wild Pokemon” on your phone’s Pokemon Go app, you’ve experienced augmented reality. As the name suggests, augmented reality is an experience where digital, 3D content is “placed” into the real world through the use of optical inputs — like the camera on your smartphone. Michael Kors glasses campaign was a prime example of this. For marketers, AR can open the door to some innovative offers. By combining other techniques such as geotagging, marketers can “pop up” particular personalized discounts for products in-store, based on where the customer is shopping or on the customer’s purchase history. It sounds like “mixed” reality should be augmented reality — but it’s not. Technology like Magic Leap and HoloLens is all about layering physical, felt and tangible reality together with designed, constructed and “virtual” reality, one on top of the other. Mixed reality gives a much more illusory experience. Here, an interactive experience, like a virtual world, is layered on top of our actual reality and changes as we approach the interaction and environment. It essentially responds to your position in space. To understand how these VR and AR experiences work, it’s best to see them in action. There are specific, marketable uses for these immersive experiences especially when it comes to converting a customer. One example is compressing the customer journey. VR and AR can take a customer from a problem-aware stance (where they know they have a problem) to solution-aware (where they see a brand’s product as the solution) in one interaction. Product demos or “try before you buy”, experiences allow customers to connect themselves to the product in a way that helps them to actually see the product in the context of their own lives. This is one of the most effective ways to enhance physical shopping experiences. FuseLab Creative is the best Virtual Reality agency in DC Area. Another fantastic example of this utility and flexibility in action is IKEA’s furniture setting, VR-based app. Through wearable headsets, customers can choose from IKEA’s famous catalog of inventory and then “place” this furniture into their homes, helping them to understand how it will look in the real world. 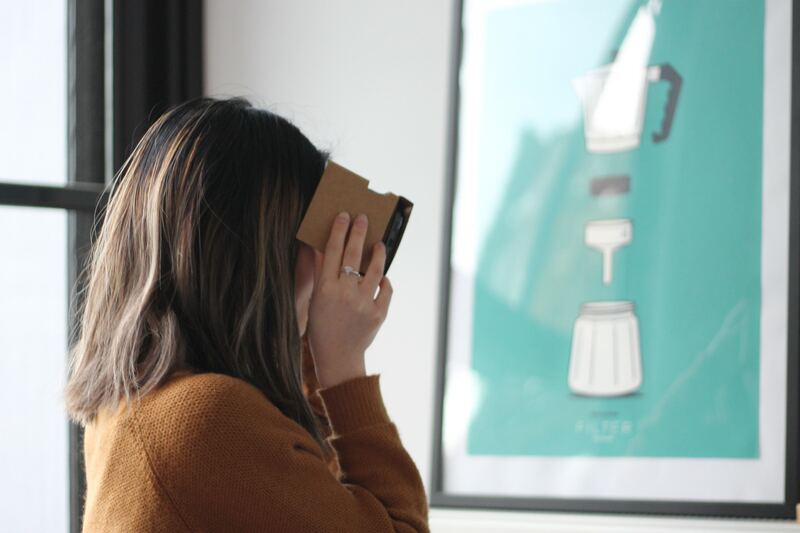 An innovative way to use VR and AR in marketing is to incentivize purchasing behavior. The New York Times did precisely this when they decided to “reward” their most loyal customers with Google Cardboard glasses, as a gateway to watching their own VR-based films and short stories. Never underestimate the power of a brand story. Especially when marketers can actually use VR and AR technology to immerse the user and/or customer and make them a part of that story. The North Face understands this well. Via a VR environment, it offered its customers the chance to hike through two different settings: Yosemite National Park and Nepal. Customers in these experiences felt something inspirational, and remembered why they want to visit these places in the first place. The reality of the environment also communicates a compelling reason to purchase North Face products for these real-world environments. Toms, an entirely feel-good shoe company, decided to translate this feeling to a felt experience for their customers. In a move similar to North Face’s, their VR tech campaign literally put the customer in the “shoes” of company representatives on charitable giving trips to areas such as Peru. Since Toms’ story and campaign have long been based on the fact that they donate one pair of shoes for every shoe bought, they made their customers not only witness the journey but also feel what it is like to actually go to South America and gift a shoe to someone. This is empathy at its most demonstrative. Even when a customer can identify this as a purely persuasive exercise, it’s still effective because it is appealing to their feelings and emotions. After all, that’s what any purchase decision is based on, even if we’d like to think of ourselves as “rational” shoppers. One of the most obvious uses of AR and VR in marketing is to offer test drives to potential customers. On the buyer’s end, this is extremely useful because it means they don’t have to waste time and energy actually driving to a dealership and waiting for interaction from a salesperson. On the dealership’s end, however, this makes for a much more informed but also a much more motivated buyer. At the point of contact, a salesperson can focus less on persuasion and more on support. Their role transforms into that of guide, coach or product specialist. They’re there to fill in the gaps, answer questions and offer some attractive packages or deals. But the experience of persuasion has already taken place through VR. 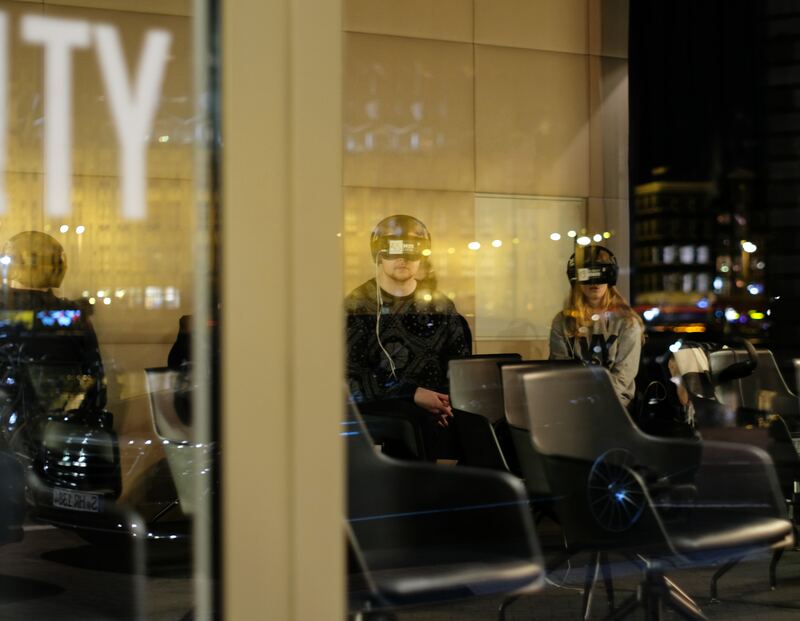 That’s precisely what Volvo capitalized on: They offered a test drive environment that doesn’t only allow the driver to experience the features of the car but to do so in an immersive environment of a “weekend escape”. Here, 360-degree landscapes and beautiful, scenic drives make a deep and indelible impact on the customer, whose mind is busy connecting the idea of a weekend adventure with the experience of driving a Volvo. While many VR apps related to test driving can be QR-code triggered, Volvo used a downloadable app, best viewed on Google Cardboard. 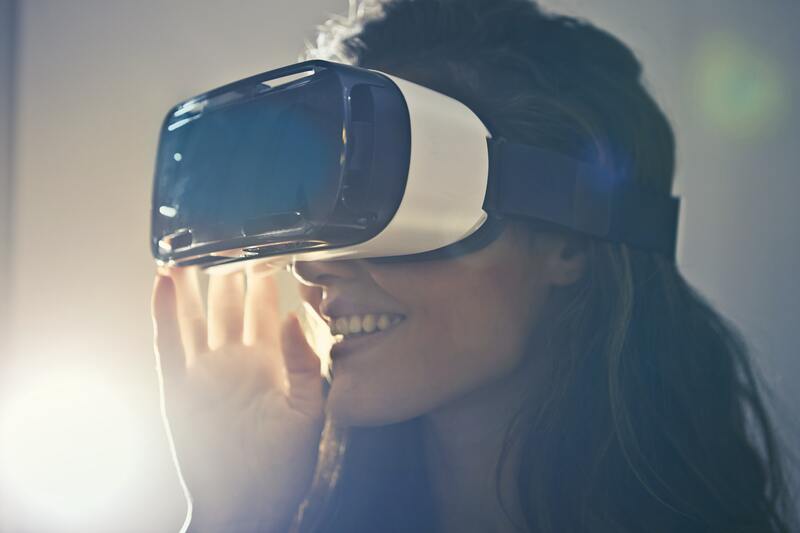 The real beauty and opportunity of VR and AR in marketing is their inherent ability to reframe the experience of reality, allowing the simplicity of emotions to work their way through a buyer’s decision-making process. As we at FuseLab’s have seen when developing our own VR and AR tool, there is an “Aha!” moment that occurs much more rapidly, surreptitiously and effective with an immersive environment than with any other kind of experiential marketing. VR and AR is not just a “niche” form of marketing — as customers’ expectations rise, it will be the only kind of marketing that works.